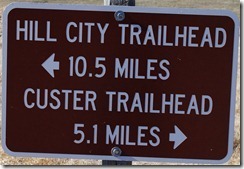 The Mountain Trailhead of the Mickelson Trail is between Hill City and Custer near Crazy Horse Monument. On this portion of the trail you will have views of the monument. Korczak Ziolkowski started work on Crazy Horse in 1948. 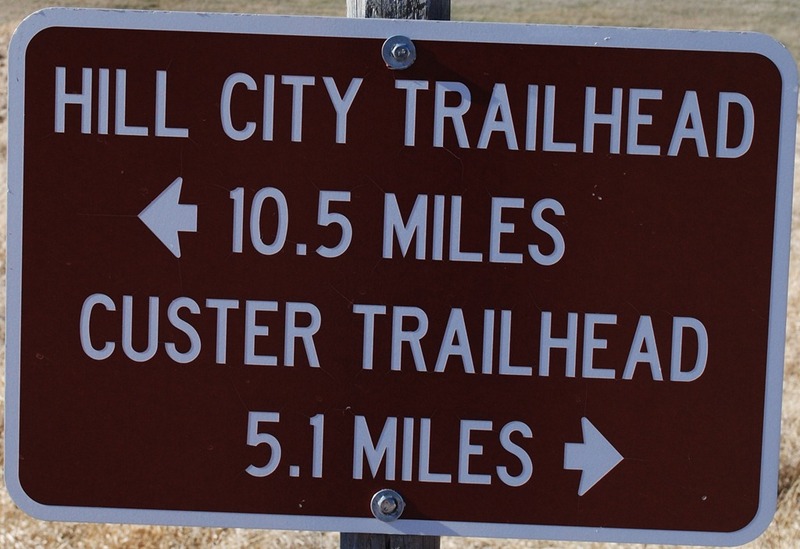 From here it is 10.5 miles north to the Tracy Park Trailhead in Hill City or head 5 miles south to the Harbach Park Trailhead in Custer. Both places offer many dining and accommodation options. I always enjoy eating at Alpine Inn in Hill City. Plus, there are two wineries in the Hill City area: Prairie Berry and Stone Faces. 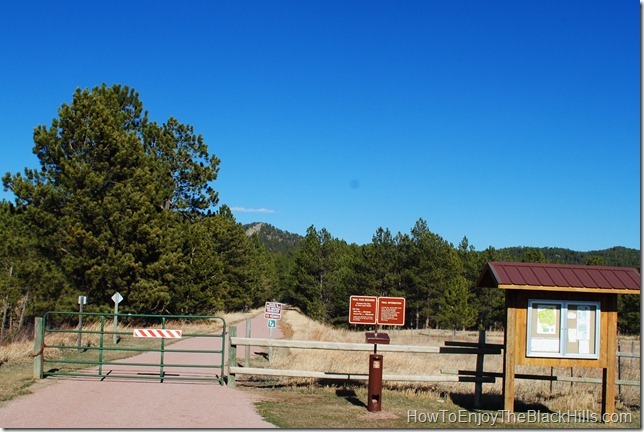 The Mickelson Trail is a great way to really enjoy the Black Hills, however, there are other great trails in the area too. The Centennial Trail begins northeast of Sturgis at Bear Butte and 111-miles later ends in Wind Cave National Park. 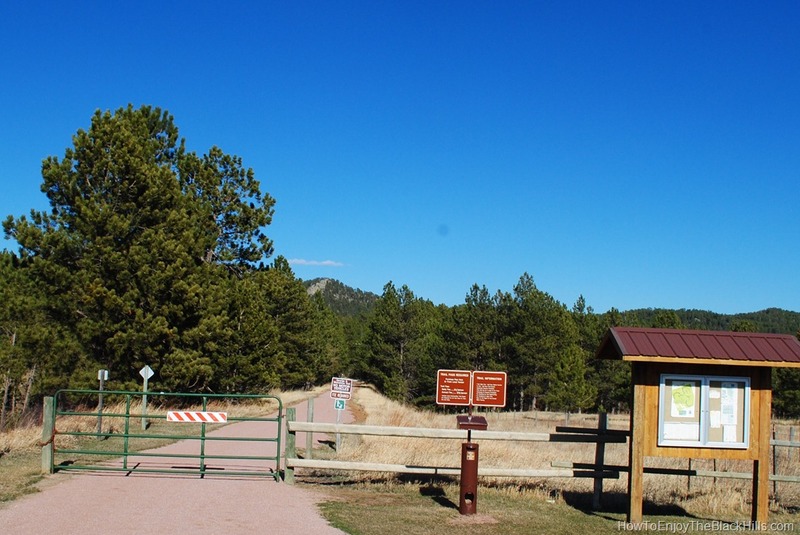 The trail cuts through the Fort Meade Recreation Area, Black Hills National Forest and Custer State Park. If you plan on taking advantage of some of the Black Hills trails I encourage you to carry Black Hills National Forest Map Pack: Topographic Trail Maps with you all the time. These maps are water proof and most trails are clearly marked. Also, a nice guidebook like Exploring the Black Hills and Badlands: A Guide for Hikers, Cross-Country Skiers, & Mountain Bikers makes deciding which trails to explore easier.